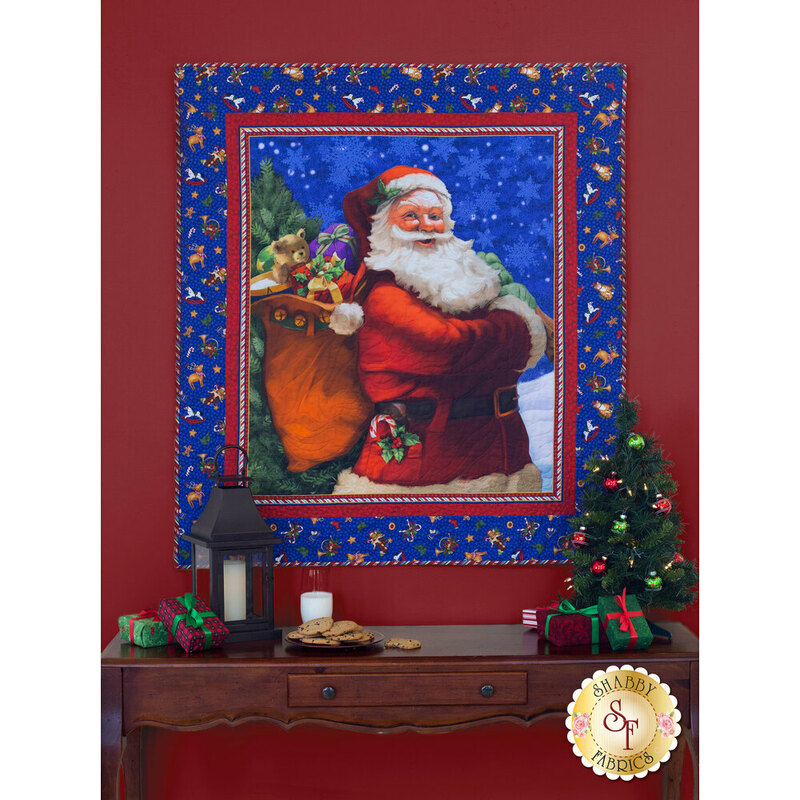 Santa Claus is coming to town and bringing plenty of gifts in this festive wall hanging! 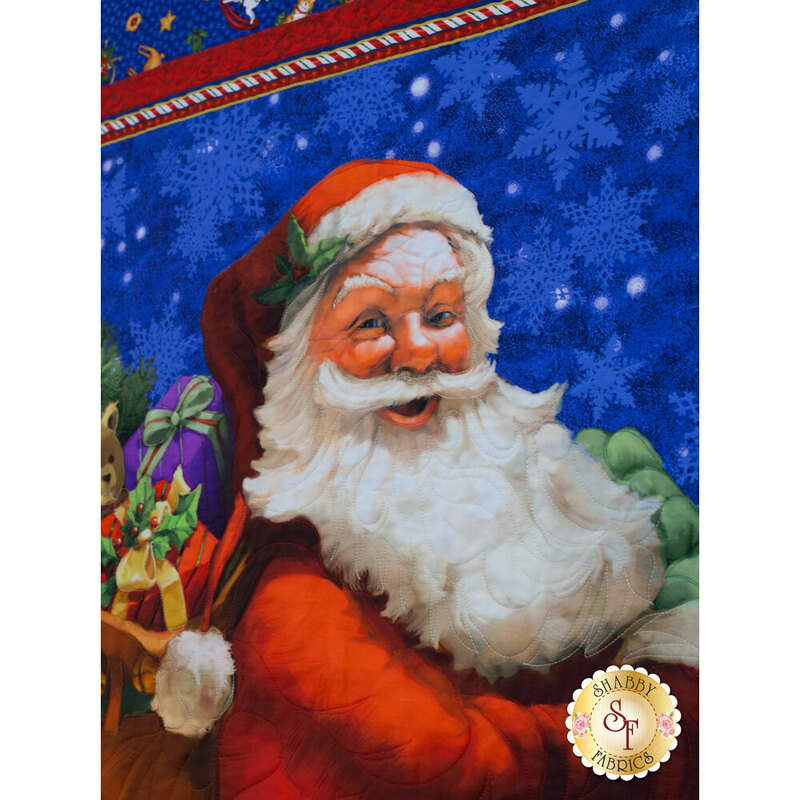 With his rosy cheeks, jingle bells, and pockets full of candy canes, Santa is ready to spread the spirit of Christmas in any home! 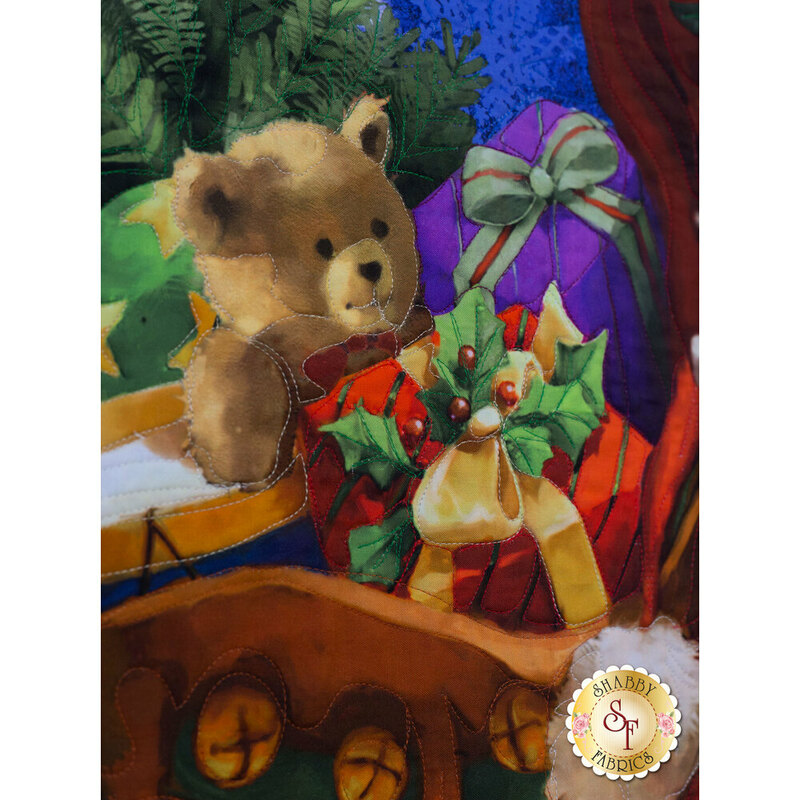 This wall hanging is a simple panel quilt, making it an easy and delightful way to add a bit of Christmas magic to your home this season! Wall Hanging finishes to approximately 43½" x 49".